Last night musical friends of Jon Brookes gathered in London and paid tribute to the late Charlatans U.K. drummer, who died August 13th from brain cancer. 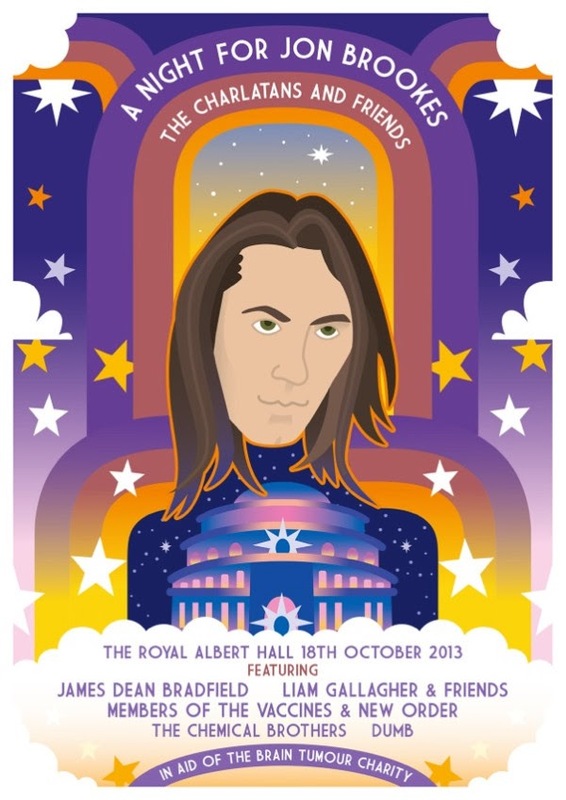 Members of the Charlatans, New Order, Beady Eye, the Vaccines, Manic Street Preachers, Chemical Brothers, and more performed a tribute concert, A Night For Jon Brookes, at Royal Albert Hall in London. Highlights included Beady Eye's reunion with ex-Oasis guitarist Bonehead, as well as a huge group performance of "Love Will Tear Us Apart." The event was professionally filmed for possible release in the future, but for now, watch some fan filmed footage from the show below. Also: details are sketchy at the moment, but apparently New Order's Gillian Gilbert ended up needing medical attention after the show. Gilbert updated fans by tweeting "all is sort of ok" and reported that she has to return to the hospital next week.